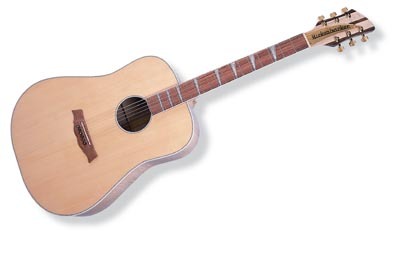 *** Discontinued Model *** Country never sounded better than on these Dreadnought shaped models. A refinement of the classic American silhouette, these guitars resound across an incomparable tonal spectrum while remaining true to their humble roots. The Laramie sports charactered solid Maple sides. The 12-string version brings the sound to an even richer level.